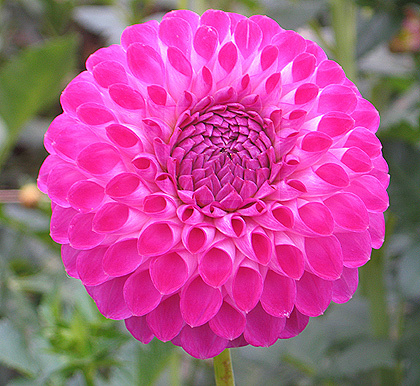 American Dahlia Society 2012 Best Miniature Dahlia Medal Winner! Congratulations Chris Dix, from Walnut Creek, California. The lavender reverse shows prominently against the purple florets projecting a sparkling appearance. Show winner! Formal classification bordering on Ball form. Easy to grow. Good cut flower.